What is the purpose of Related Keyword? 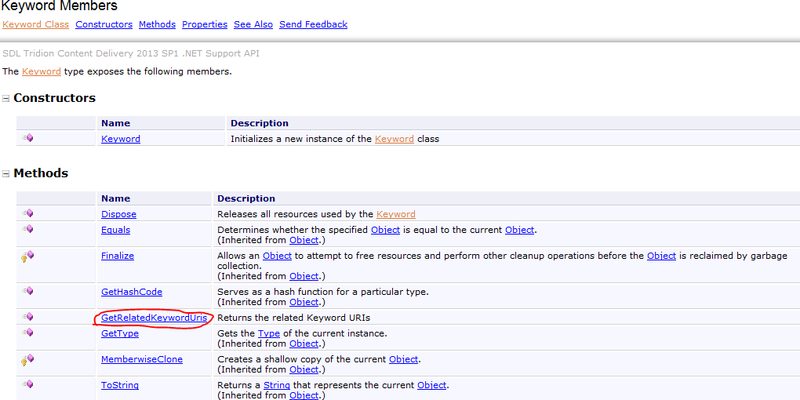 When I open a Keyword, there is Parent and Child Keywords, and also Related Keywords. What are they, what is the purpose of it, what is their behavior while publishing? 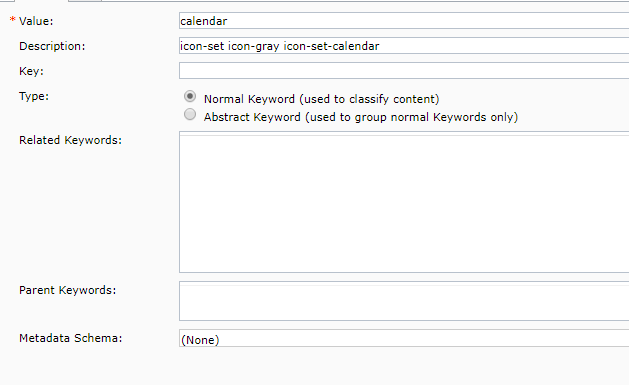 Select related Keywords to create non parent/child Keyword relationships such as see also links and related topics. 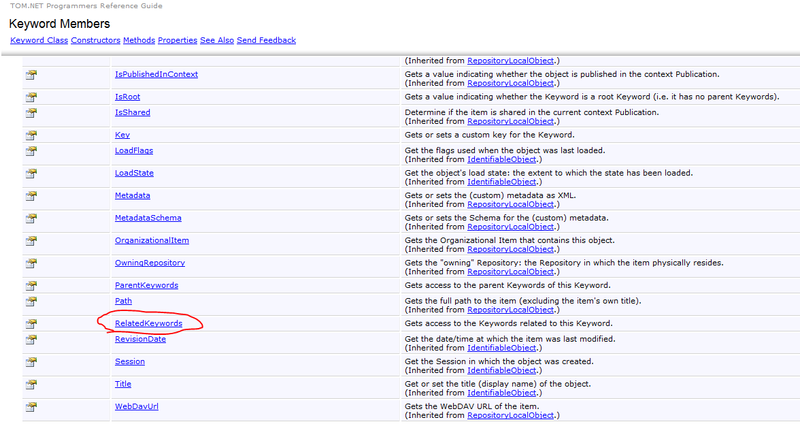 For example, you can relate a Holiday Type Keyword to Sports Equipment Keyword. Of course you can get this in TOM.NET as well and include data from them in your publishing process, like creating links, etc. Not the answer you're looking for? Browse other questions tagged 2013-sp1 cme keyword or ask your own question. Unable to add the keywords on the component in the classify window? What is the purpose of the Publication Types: E-mail, Mobile, and Unspecified? Why can't I add keywords to a specific category? How to get Related Keywords from a Keyword in the Order they are attached?